PLEATED TROUSERS OR FLAT-FRONT TROUSERS? When I was about to start my internship, I had to shop around for the perfect "office" pants. This wasn't particularly difficult for me since I have always preferred flat-front pants to pleated ones. For most guys however when asked what they prefer, the answers range from "Does it matter?" to "What's the difference?". The most common response being a simple, "I don't know." Yes, it does matter. Secondly, the difference is in the fit and shape of the pants. And if you don’t know, don’t worry. You’ll learn a lot from this brief explanation that will help you find that perfect pair. 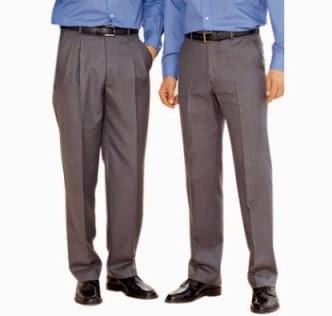 The difference – Pleated pants have creases at the front of the pant along the waist. The creases have been created by folding the fabric and sewing it down before attaching a waistband. Flat-front pants, on the other hand, have a contouring feature called a dart that allows for the pant fabric to lie flat against the body. What pant looks best on you depends on your body type. 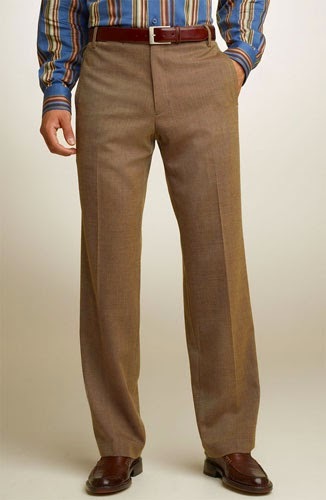 Generally, slim men should stick to the flat-front while larger men and athletic men benefit from pleat pants’ extra room. generally better suited for the style-conscious. Since there are no pleats, the silhouette is more smooth and straight, accentuating slimmer figures. Flat-front pants will not only accentuate a slim figure, but also emphasize a belly. with a large back-side or athletes with large thighs. 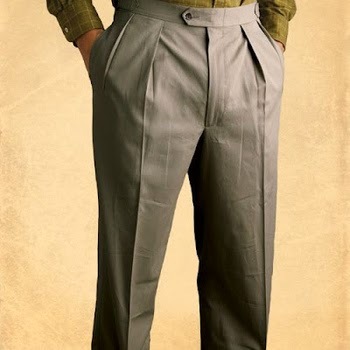 Men who have physically active jobs or lifestyles also find that pleated pants are roomier and easier to move in. Slender men, especially if tall, should avoid pleated pants because there will be too much extra room and the silhouette will appear sloppy. Walk around, move around, sit down and stand up to be sure that a pair of pants fits comfortable and allows for you to move. The last thing you want is discomfort during an interview or meeting. Look over yourself in a full-length mirror to ensure a good-looking fit. Take into consideration that to obtain that perfect fit, you may have to make alterations to the waist or leg of the pants. It will cost a little extra, but it’s totally worth it for a tailored fit and added confidence. Thanks! Keep it here for more big and exciting changes!